Delight in a selection of authentic Chinese food delivered to you as part of a personal service. Serving high-quality restaurant food at takeaway prices, we offer a comprehensive menu full of mouth-watering dishes that are dished up in our restaurant or delivered straight to your door. Experience restaurant-quality Chinese dishes at prices you’ll only find in a takeaway. 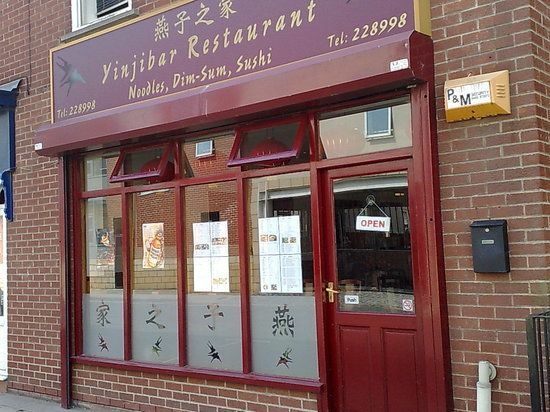 yinjibar has won TripAdvisor’s best Chinese restaurant in Hull, East Yorkshire, with an excellent reputation and stunning reviews for a Chinese menu that is served following the highest standards. One of Hull’s original Chinese restaurants, you can enjoy dishes such as sushi, dim sum, and noodles in a homely dining room decorated with beautiful Chinese lanterns. With a comfortable restaurant space and a warm and welcoming atmosphere that complements our wide range of delicious Chinese and sushi dishes, you can also request for restaurant-quality food to be delivered straight to your door, to enjoy in the comfort of your own home. Conveniently located in Hull’s city centre, you can find us next to the Hull New Theatre. Contact our Chinese restaurant in Hull, East Yorkshire, to discover more about our Chinese menu.